Patty is a current resident of Forest Park and served in the U.S. Marine Reserves. Her date of birth is May 5, 1983. 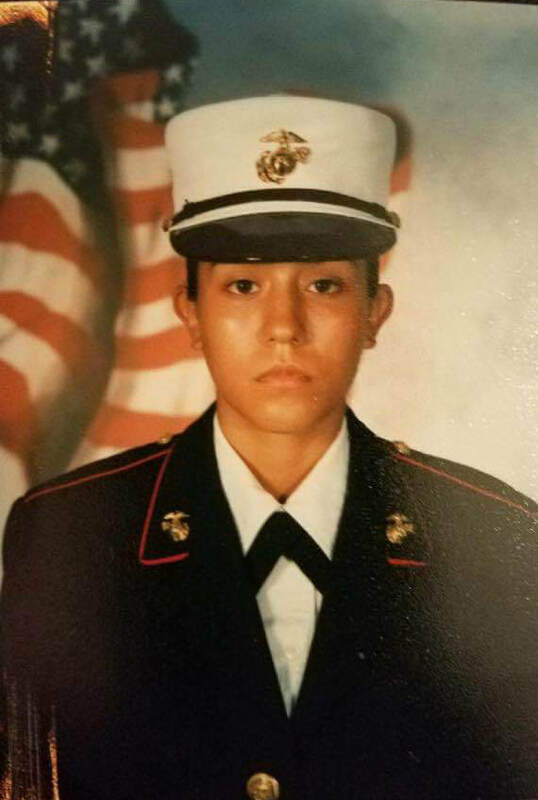 It was not common in Patty’s family for women to be educated and she wanted to attend college, so during high school at age 16, she spoke with an on-campus Marine recruiter and signed a contract to join when she was 18 years old. Shortly after graduation, Patty headed to Paris Island, SC for female-only Boot Camp Training, Weapons Training, and Specialty School. 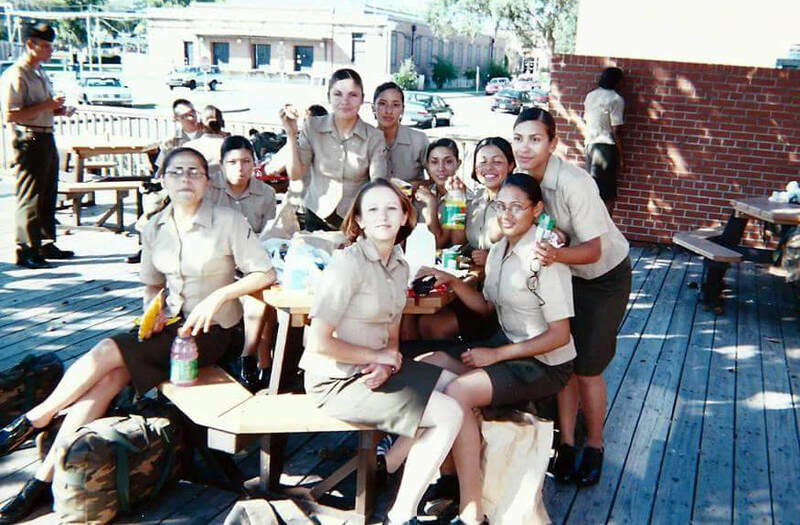 Female-only boot camp training was and still is unique to the Marines. In Specialty School, Patty was trained as a Close Air Support Operator, responsible for communication between ground and air when food, medicine, or medivac procedures were needed. During her boot camp training, the Twin Towers fell, making her confident and ready to be deployed to the Persian Gulf. 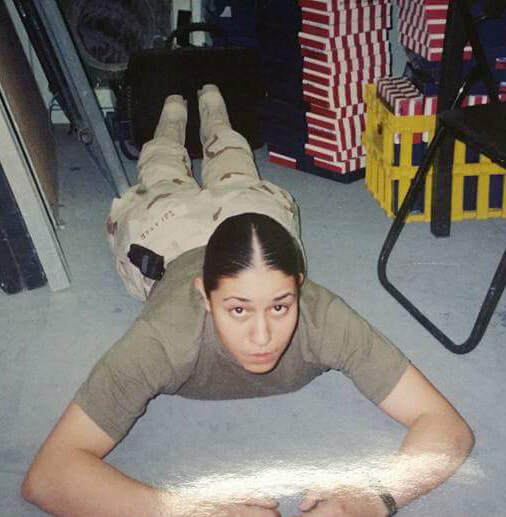 At age 19 and after only one semester of college, in January 2003, Patty was deployed to Kuwait at the start of Operation Enduring Freedom where she put her specialty training to work as part of the air wing. Patty’s unit was an initial start-up operation to prepare for combat that commenced in March, 2003. In combat, attacks did not come in rounds or waves, but were heard over computers not visually seeing but hearing gruesome descriptions where Patty was to communicate coordinates to send life-saving assistance. As a woman deployed into combat and during training, Patty’s judgments were often undermined by male counterparts. After six months in Kuwait, Patty returned to college after only one month of being home. She graduated from college with a double major in Criminal Justice and Spanish and fulfilled her reservist duties until October, 2008. Patty has eloquently spoken out on issues related to females in the Marines, PTSD, and the complexities of acclimating back into civilian society after combat. Her full interview raises awareness of these timely issues that were not openly addressed in earlier decades. Patty is proud of her service and still communicates with the women she trained with in boot camp via social media. Patty is married to Raphael Davis, a U.S. Army veteran. ​Women are just as strong as men when it comes to doing their jobs and doesn’t see anything wrong with women serving in different capacities as long as they are capable. “…believe in yourself and stand up for what you believe. Don’t lose yourself because of anything else that’s going on in life, in war, or in different locations...Don’t take life for granted.